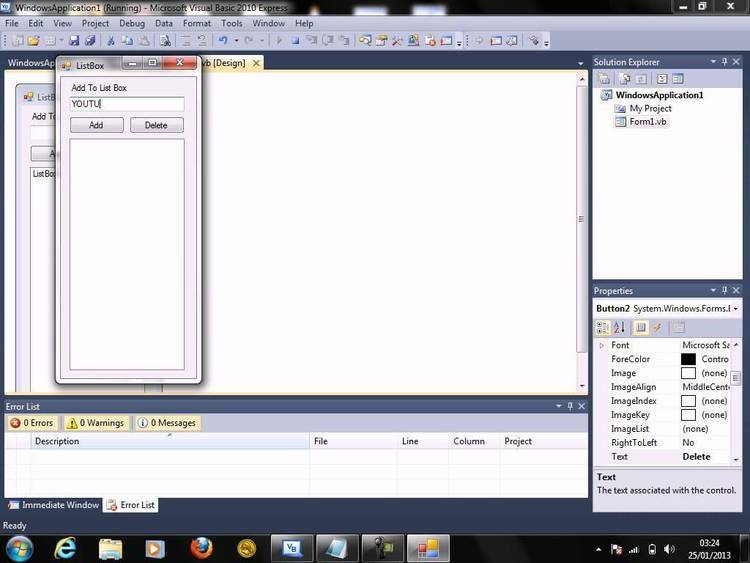 Visual Basic Multi Column ListBox control. different areas, each with its own drawing flags and data. or you can set individual lines bitmap properties. will draw the text and the bitmap in the area you define. up through setting the LBS_MULTICOLUMN style for the list box. the same custom control that I am using in my everyday VB programming. have contributed and participated in the Shareware arena for years now. more than this number of characters to the screen. Send $35.00 to me at the above address. Borland C++ 3.1 and Visual C++ 1.0. You may now register this control in the SWREG on Compuserve. Type GO SWREG. Corporate users should register via mail. contains all standard controls. The ones listed below are additions. change the font, font size, etc..
of this item at design time, and the font, and your list box will be fine. works out, and how I can make this item work more to your liking. see what exactly these flags mean. drawing region displays currency values. return. Perhaps an example is in order. This property will return the ActiveRegion in the currently selected text. See the above "ActiveRegion". Corresponds to a DrawRegion of the Text property. These values can also be written to at run time. This property will return the ActiveRegion in the item at the specific index. See the above "ActiveRegion". Corresponds to a DrawRegion of the List property. the demo on setting your own default picture and ItemPicture properties. This determines what type of image we are dealing with in our image region. bitmap is displayed in the ImageRegion. regions no longer apply. Anybody got a problem with that??? set this property to a value of less than zero or greater then DrawRegions. MList1.AddItem "Region2" + Chr$(9) + "Region3"
MList1.AddItem "Region22" + Chr$(9) + "Region33"
the MList uses the DefPicture property. the MList uses the default foreground color property. the MList uses the default background color property. The property specifies the width of each line in a multiple column list box. column list box into more columns. a list box while typing the string in an edit control, ie. Search in Help. This property marks the beginning line item for RangeSelected or RangeChecked. The offset is 0 based, so the first item is 0. This property marks the ending line item for RangeSelected or RangeChecked. list box. If the list box is not multi-select, then this is ignored. regions and add a horizontal scroll bar to the list box if one is neccessary. This is a property array, which corresponds to each line item in the list box. get to determine what it is. drawn on your list box. This is the color of the rising edge of a 3-D list box. Default color is white. is a dark grey color. need to be concerned with its use, as I use it for different things. MList1.AddItem "Robin W. McKean" + Chr$(9) + "$100.00"
Added ItemData property to control. Added ListIndex property to control. 3.02.0000Fixed a ton of problems. Namely, the page down didn't work. Delete current controls and rebuild to fix this problem. Added ALL default controls for the standard list box. Tested all of them before uploading. also change the bitmap of a specific line item. and selecting multiple line items. methods, such as Move (which didn't work), Refresh, and others. Fixed problem with RemoveItem not deleting lines data. Changing the way MLIST handled strings did the job. 4.10.0000Added 3-D, rise and fall colors, and SelChange event. Thanks to Paul for the check box problem. Thanks to Alex for providing info on VB 2.0 problems. Thanks to Michael and David for color problems with hilighted text. Thanks to Michael for extended select reminder.